I should start by saying I did not buy into the hype for A Star is Born. Anything that is written (partly at least), directed and starring the same person is sure to be self indulgent but in less than five minutes, my mind was to be completely changed. 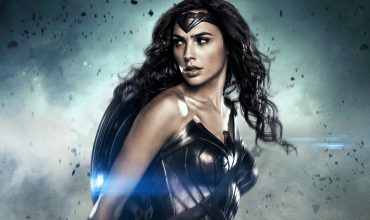 There is no question that Cooper is a born director with a very clear and unique vision for a film that had already been remade three times since the 1937 original. 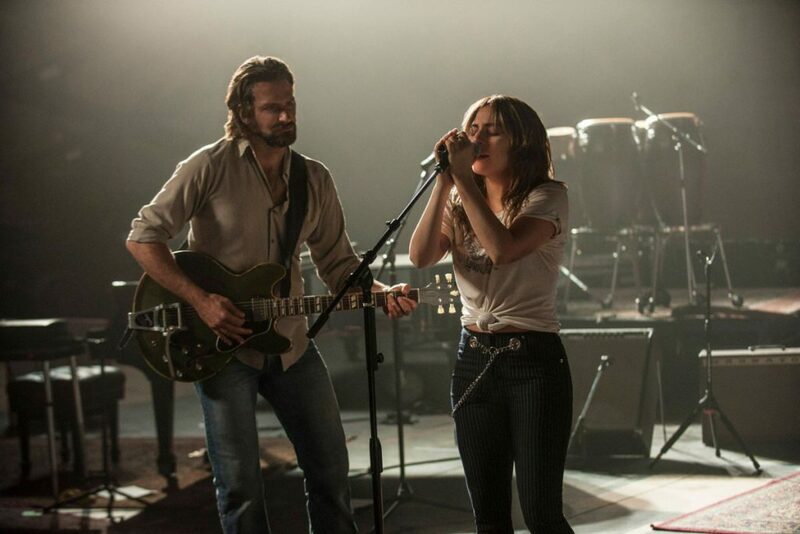 The 2018 remake follows famous musician Jackson Maine (Bradley Cooper) and Ally (Lady Gaga) as they meet and fall in love while battling the demons that come with fame. Jackson stumbles into a bar after a drug and alcohol fuelled concert and sees Ally perform ‘La Vie en Rose’. Ally gains fame after performing ‘Shallow’ – the song they wrote together the first night they met – with Jackson at one of his concerts. The two travel together and quickly fall in love. The difference in the two characters is highlighted in the cinematography, the film opens with Jackson at his concert, the mania intensified with a constantly moving camera that feels like you are watching a music documentary. This is contrasted with Ally in a stark work bathroom, in the centre of a steady shot. The music documentary style becomes closely linked with Jackson’s struggles with addiction, heightening the chaos the alcohol and drugs bring to their relationship. Cooper isn’t concerned with having the cleanest shots or a typically glamorous Hollywood film, but instead puts the audience right in the middle of the moments creating an intense intimacy with the main characters that is rarely experienced in Hollywood film. The intimacy between Gaga, Cooper and the audience is what makes the film so special. When Jackson sees Ally perform for the first time it is as if we are seeing Gaga before she was famous, that special moment of uncovering an unexpected diamond. The script and the actors have created characters that are flawed but whole, two people trying desperately to love and support each other while battling mental illness and addiction in the public eye. The movie does not judge either Jackson or Ally, it’s always on their side and in a time when storytellers are leaning into unlikeable characters it’s wonderful to see two flawed characters be both likeable and relatable. Well before the end of the film, both Ally and Jackson become your friends with such undeniable chemistry that you can’t help but root for them, which makes the film even more endearing and devastating. As in any music movie, the songs are an integral part of the film and can make or break it. If you’ve heard the soundtrack or the single ‘Shallow’ then you know the songs do not disappoint. All of the songs are performed by Lady Gaga and/or Bradley Cooper, with them also having a hand in either producing or writing most of the songs. Cooper isn’t afraid to draw on many different styles though, working with Lukas Nelson (son of country singer Willie Nelson), Mark Ronson (producer of Amy Winehouse’s Back to Black) and pop singer-songwriter Julia Michaels to name a few. The result is a varied but purposeful soundtrack that will take you right back to the film (as you listen to it on repeat and cry). 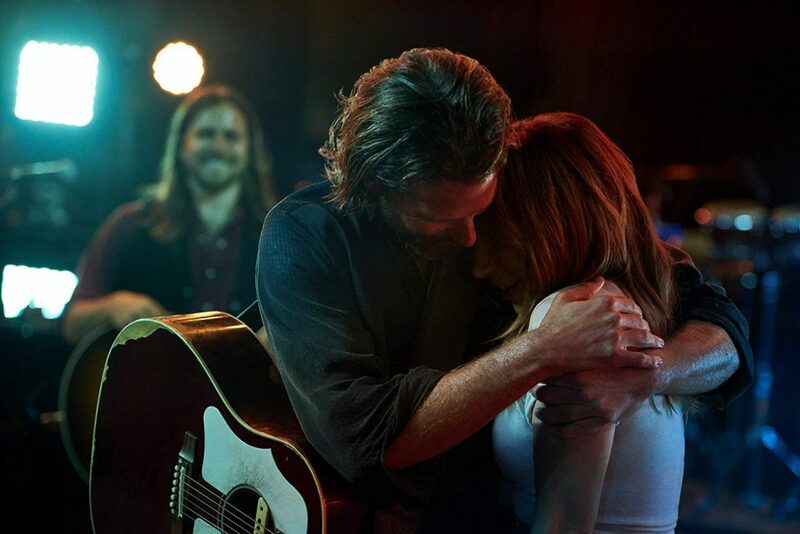 A Star is Born is a beautiful film that will sit with you long after you have left the cinema. It is a critique of fame but not of the famous, a rare look at ‘celebrity’ with compassion and hope. 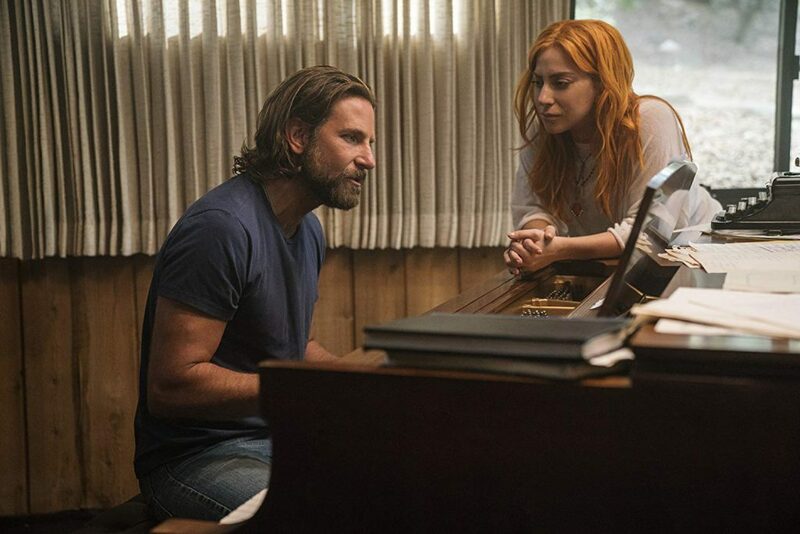 With two debuts, the film could easily have been a mess but Bradley Cooper’s clear vision and Lady Gaga’s talent the two have redefined their stardom. I can’t wait to see what they do next, in the meantime you can find me listening to the soundtrack on loop.